Luckily my 34th week was uneventful, especially after the mix ups from the week before. If you missed my last update you can read it here. I’m slowly getting more and more tired now. I remember this from when I was pregnant with Alex but it’s harder this time around as I have a toddler and can’t just have a nap when I need one! God I miss napping… I’ve also had my consultant appointment this week. The night before the appointment I spent throwing up. I’m not sure whether this was a nerves thing or whether this was down to dodgy food but once I’d been sick and got some sleep I felt a bit better in the morning so it could have been a combination. I had my cholestasis bloods and monitoring before my appointment with the consultant, and that went well…. And then it went downhill from there. 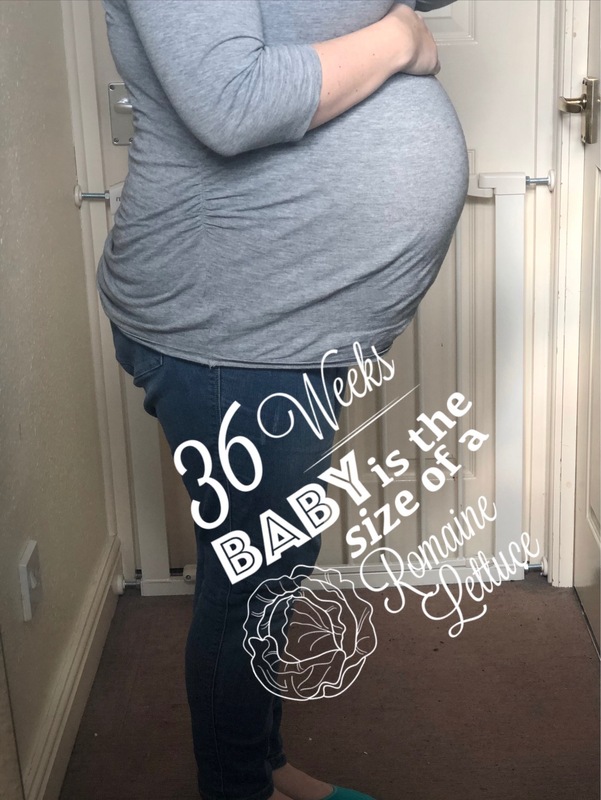 We sat in the waiting room for the consultant and once we were called in she said I needed a quick scan there and then just to check baby’s size. Baby is estimated to already be approx 7lb and her tummy is measuring almost 3 weeks ahead. Back in to see the consultant who didn’t give us an induction date like we had thought was going to happen but told us we would be back in 2 weeks to discuss further and get a date then. I’m starting to not cope with dropping Alex at pre-school – the last few weeks he’s started crying as I leave him. With all the pregnancy hormones flying around my system at the moment, I just head home and cry. I am really struggling with this. He’s never been one to cry when he’s dropped at nursery, he usually goes off and plays without a fuss so it’s completely out of the norm. The start of the week was a quiet one, it all started getting hectic from Wednesday! Wednesday – Bloods and monitoring once again all done, took a little longer than I had hoped due to her having hiccups which caused the machine to keep losing her heartbeat. Then me and the little man headed to Little Rascals for a bit of soft play with a friend and her 2 children followed by a trip to my parents. Thursday – a quiet day ending in disaster. Somehow I managed to get a sickness bug and ended up being sick every half an hour from 11pm. I headed to our local out of hours service who gave me an injection to help stop it. I’m not 100% convinced it worked though. Friday – I managed to get some sleep from between 9am and 12pm which seemed to help the nausea and sickness ease off. Weekend – the whole weekend was spent sorting and getting everything out of our bedroom so that we could paint. A huge thank you to my mum and dad who did most of the hard work moving everything and doing all the painting. We also ordered new carpet and a new bed and bought new furniture – another big thank you to the in laws for making this happen. It’s all very scary that we will most likely have a newborn in the house before the carpet is fitted or we get our new bed! But I’m also very excited to finally have another room in the house completely done up. Next week brings our next, and most probably our last, consultant appointment. Time is just going so fast! 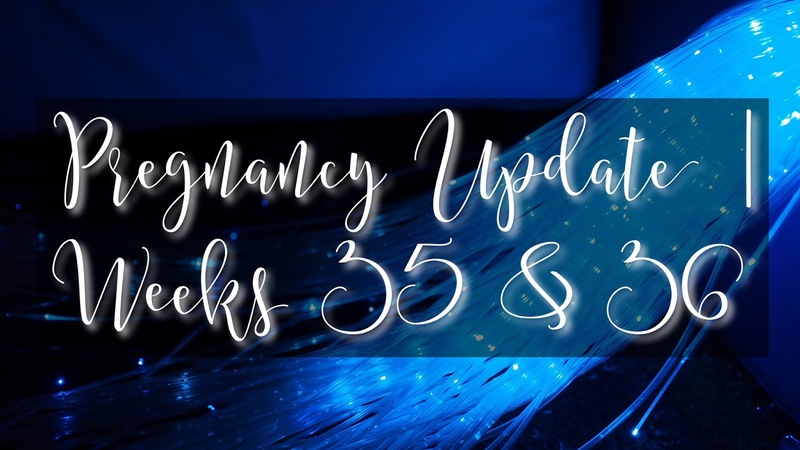 I might do weekly updates now leading up to the birth due to so much happening so quickly. So for this update, here’s the bump!